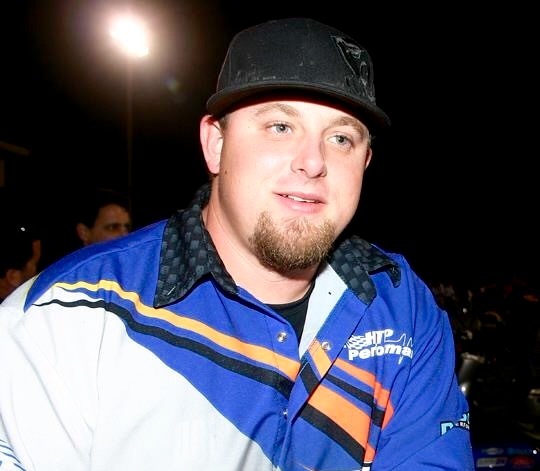 Cecil Towner, 35, of Richmond, Va. and his speed shop HTP Performance have become one of the most well respected high-performance motorcycle builders in all of drag racing. 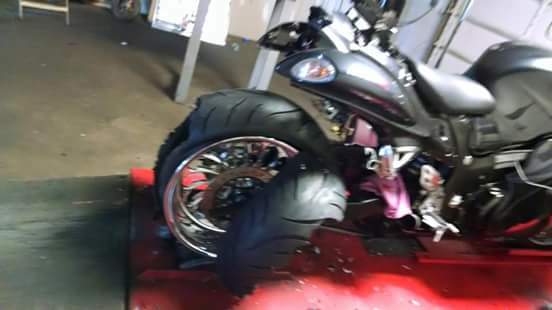 Towner spends a lot of time on the dyno fine-tuning his beastly creations. 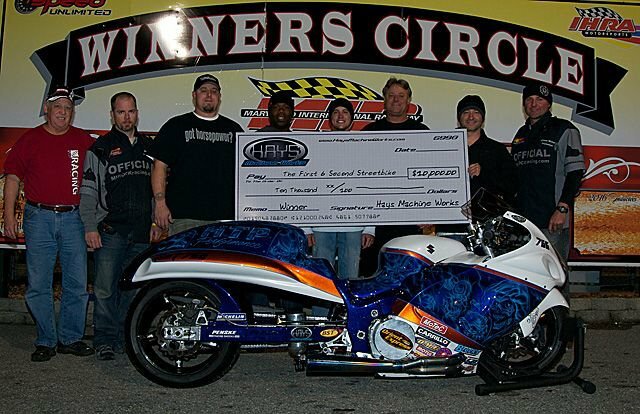 Unfortunately on July 17th, Towner suffered a freak accident while dynoing a 2008 Hayabusa with a 240, wide tire kit on it. “I made one pull on the bike to get a baseline on it and everything went fine. I let the bike cool down then I fired it back up and proceeded to start with tuning the bike,” Towner said. Towner’s next pull resulted in the massive tire exploding at the redline, just over 10,000 RPMs. What was left after the 240 tire exploded off the Hayabusa on the dyno. Fortunately Cecil Towner is expected to make a full recovery. Towner was rushed to the hospital and checked into a trauma room. The doctors ordered X-rays and a CT scan of Towner’s back. Towner spent the next 24 hours in the hospital for observation. The experienced bike builder is still stunned. Cecil Towner and Ryan Schnitz record the sport’s first six-second street bike pass in 2011. 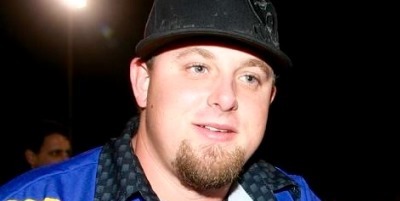 Towner expressed his sincere gratitude to everyone who has checked up on him and wished him well. Get well Cecil we are are wishing you a speedy recovery. Take care!